Among patients in Orlando, dental implants are one of the most popular options for replacing missing or damaged teeth. Why? Because unlike dentures, implants don’t shift in your mouth and never have to be removed, and unlike dental bridges, implants don’t compromise the health of remaining teeth. Dental implants look and feel just like natural teeth, and with proper care, they can last a lifetime. They can be used to replace a single tooth or an entire row of teeth. 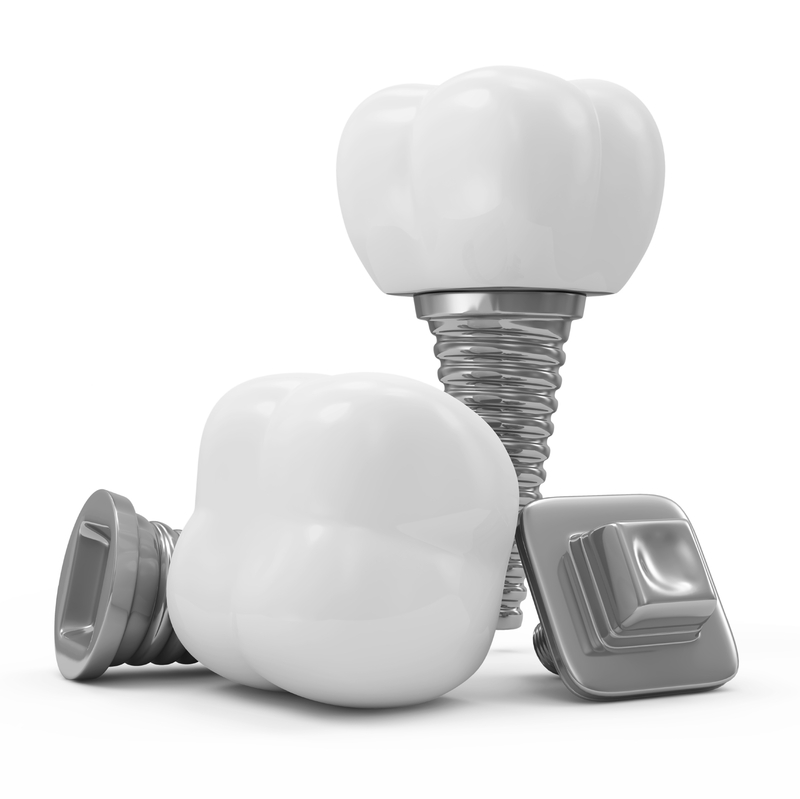 Interested in receiving dental implants? Read on to find out how they work. Step 1: Before starting, Dr. Puig will perform a thorough examination and take x-rays to evaluate the condition of your teeth and the bone structure that supports them. Using this x-ray, a specific treatment plan is created. For some patients, tooth loss can cause the jawbone to lose mass over time, leaving too little bone for an implant to be securely placed. In these cases, preparatory bone grafts must be performed to increase bone mass in the jaw. For other patients, the sinuses may be too close to the upper teeth to safely place an implant there. These patients will need a sinus lift before continuing. Step 2: A cylindrical titanium post is placed surgically into the jawbone. As the jawbone heals, the post will fuse securely with the bone and the gum will heal over the top of the post. This process takes six weeks to several months. Step 3: Once the post has completely bonded with the jawbone, it is re-exposed and topped with a small connector called an abutment. The abutment will connect the implant to the replacement tooth. Step 4: Finally, the replacement tooth, called a crown, is placed on top of the abutment. This tooth will be custom made to fit your mouth and to match your existing teeth perfectly. Step 5: Enjoy your new smile! Care for your implants just like you would care for your natural teeth: by brushing, flossing, and getting professional cleanings regularly. Dental implants have a high success rate and many benefits. But before your own dental implant process can begin, the first step is to and schedule a consultation. Dr. Puig can help you find out if you are a candidate for dental implants and answer any other questions you may have. Start your journey to a new smile today!